with the guideline ISO 10993.
limited risk of side effects or inflammation thanks to our unique process of purification, oxygen removal and sterilization . Hyalax® Base is a monophasic gel implant. Hyalax® Base consists of non-animal sourced, highly cross-linked hyaluronic acid, with a concentration of 23 mg/ml. Hyalax® Base is an injectable biodegradable gel used to increase or restore the volume of the face, remodel facial contours and correct deeper wrinkles and folds. It is recommended to inject Hyalax® Base into the deep dermis. It is recommended to repeat the treatment after 9-12 months *. * Average duration depends on several factors: patient’s skin type, severity of the wrinkles to be corrected, type of injection and volume injected. 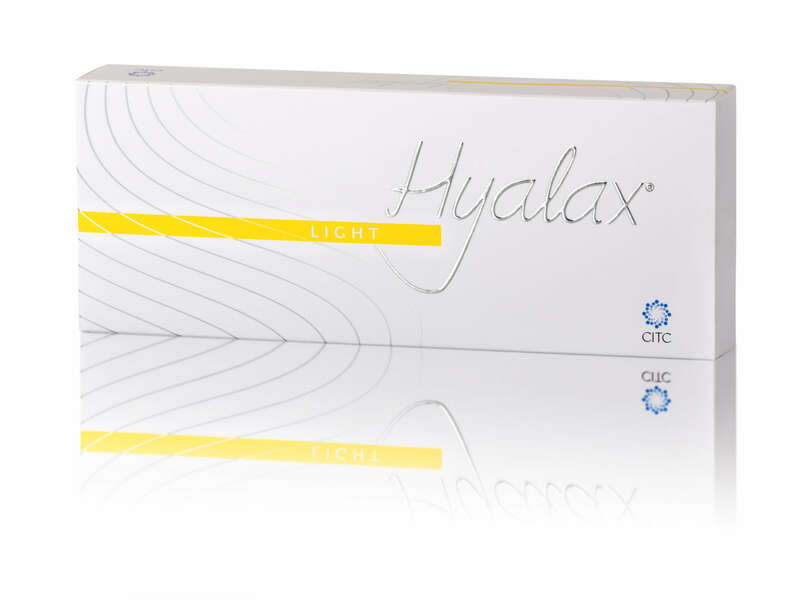 Hyalax® Light is a monophasic reticulated gel implant, based on hyaluronic acid of non-animal origin. It is a universal product and appropriate for different aesthetic treatments such as the correction of moderate facial wrinkles and lines as well as the enhancement of lip volume. 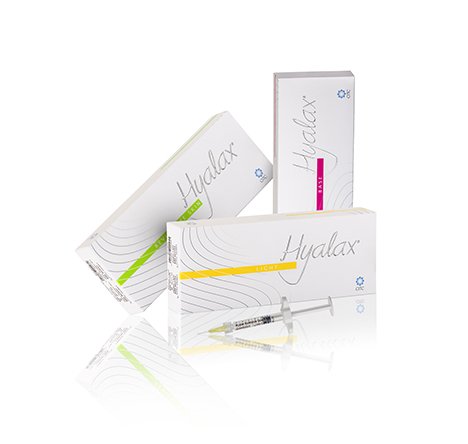 Hyalax® Light is injected into the mid to deep dermis to achieve a very natural look and long-lasting correction. It is recommended to repeat the treatment after 6-9 months *. 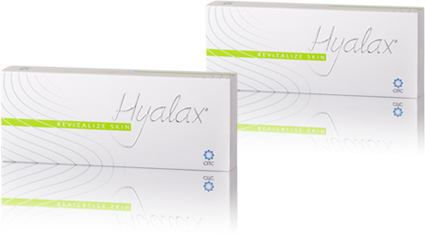 Hyalax® REVITALIZE SKIN consists of hyaluronic acid 18 mg/ml and 20 mg/ml glycerol. Hyalax® REVITALIZE SKIN combines highly concentrated non-reticulated hyaluronic acid with glycerol for a synergetic effect, which greatly enhances its moisturizing and hydrophilic properties. Hyalax® REVITALIZE SKIN supports skin revitalization by stimulating natural regeneration and collagen synthesis. It is designed to be injected into the superficial dermal tissue, to improve skin tone and elasticity and/or to act as a filler for small lines such as crow’s feet, smile lines or smoke lines surrounding the mouth. For better results, it is recommended to have 3 treatments at a two-week interval *. Hyalax® REVITALIZE SKIN PLUS is a sterile, isotonic, biodegradable gel consisting of hyaluronic acid 20 mg/ml obtained by bacterial synthesis using Streptococcus equi. Hyalax® REVITALIZE SKIN PLUS is recommended for treating age-related skin changes, including dehydration of the stratum corneum, decreased tone and elasticity or wrinkles; improving skin repair processes, for example, in the treatment of scar tissue resulting from superficial injuries such as acne or chicken pox. An intensive course consists of 3 treatments at 7-10 days interval *.